If you operate your travel business online, you will understand that you are doing one of the safest businesses and are serving the people well. But there may just be a surprise in store; merchant account providers ( i.e. acquiring banks and other companies offering facilities to accept credit card payments) consider travel businesses as high risk businesses. Thus acquiring travel merchant accounts isn’t at all easy for travel merchants willing to accept online payments through credit cards or any similar instrument. It is essential for most of the travel businesses to be able to accept payments using credit cards. However, acquiring travel merchant accounts for processing credit card payments isn’t easy for the new and existing travel businesses. This is where merchant account providing services like AMSLV come in to play. We are proud a merchant account service with a strong relationship with acquiring banks and other merchant account providers, which makes us one of the preferred names in the business. With this strong partnership, we excel in providing high risk merchant accounts and therefore we provide merchant accounts to travel businesses too. So, whether you are a travel agent or a tour operator, we understand that you will need a merchant account, so that you can allow your customers to pay in the easiest mode possible, to make the whole experience on your website more convenient for them. In most cases, the easiest mode customers will use to pay for your services would be using credit cards, and in order to accept payments through credit cards, you will need a payment gateway for a travel merchant account. Considering payments using credit cards for travel websites, at AMSLV we offer a secure and cost effective solution to travel agents and tour operators in providing them with their own travel merchant accounts without the need any kind of costly reserves and expensive bonds. Cost effective and secure way to process credit card payments. AMSLV has a network of finest acquiring banks, which assures you get a merchant account for your high risk travel business at most affordable price. We workout your application for a travel merchant account in only a few days. Applying for an AMSLV Travel Merchant Account is as simple as filling in the form. As soon as you are done filling the form, a real expert travel merchant account manager will help you setup your merchant account in the shortest time frame possible, which means we will have your travel business accepting credit card payments online in no time. While applying for an AMSLV Travel Merchant Account you will be asked for information on your business, this is essential for your application for the online merchant account. 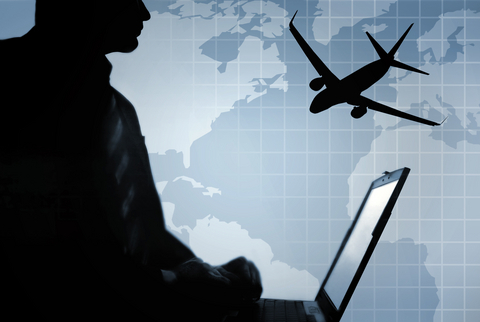 If you are an online travel business and are looking for a travel merchant account, then look no further than AMSLV. Just hit the button here and apply for your account now.